Jason joined Watsi on October 1st, 2014. 10 other people also joined Watsi on that day! Jason's most recent donation traveled 8,800 miles to support Vannak, a high school student from Cambodia, to fund the removal of a cyst. Jason has funded healthcare for 36 patients in 9 countries. Vannak is in the 11th grade. He has two sisters and two brothers. In his spare time, Vannak enjoy listening to music and watching TV. Vannak has developed a sebaceous cyst on his scalp. This is a noncancerous small bump beneath the skin. Vannak's painful headaches affect his ability to concentrate on his studies. 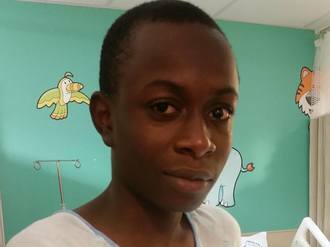 He travelled with his mother for two hours to reach our medical partner, Children's Surgical Centre, for treatment. On April 6, surgeons will excise the sebaceous cyst from his scalp during surgery. With just $224, we can help Vannak to feel more comfortable and no longer experience any pain. Carlentzky is a 17-year-old boy from Haiti. He lives with his parents and four siblings in a small mountain town. He is currently in the tenth grade and would like to be an engineer when he grows up. Carlentzky was born with a cardiac condition called Atrial Septal Defect. This means that there is a hole between the two upper chambers of his heart. Blood enters his body through this hole without first passing through his lungs to obtain oxygen, leaving him weak and short of breath. Although Have a Heart Cayman is subsidizing $15,000 for the surgery itself, our medical partner, Haiti Cardiac Alliance, is requesting $1,500 to fund Carlentzky's medications, transportation, and exams in preparation for surgery. Carlentzky is scheduled for heart surgery on May 22, and after his recovery, will be able to grow strong and healthy. "I am excited for my surgery because I have never been able to play sports and now I will be able to start." Carlentzky says. 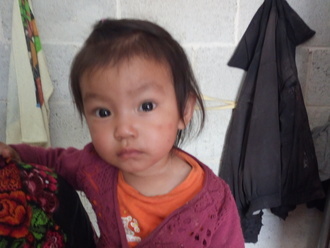 Wendy is a 14-month-old baby girl from Guatemala. She is the first child to her parents. Her father works as a day laborer to support their family, and her mother stays at home to take care of the household. Wendy loves to play with her mother, and her favorite food is papaya. Every Sunday, their family enjoys going to church. Wendy has been diagnosed with malnutrition, a condition that results from consuming too little protein, calories, and nutrients. Beginning on April 27, Wendy will be monitored at Clinic Tecpán, our medical partner's care center. There, she will receive micronutrients and food supplementation to help her recover. Our medical partner, Wuqu’ Kawoq, is asking for $492 to cover the cost of Wendy's nutritional supplements and care. Funds will also go towards an educational program that will teach her mother how to create a nutrient-rich diet using limited resources. “I am excited to be a part of the program because I wish for my daughter to grow well,” says Wendy’s mother. Edwin is ten months old and has malnutrition. 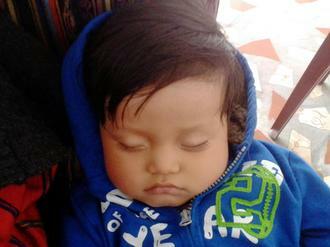 He lives with his parents in rural Guatemala. He loves his teddy bear and toy car, and his favorite foods are mandarin oranges. Edwin is the only child of his doting parents. His father works in agriculture, and his mother takes care of Edwin and their home. 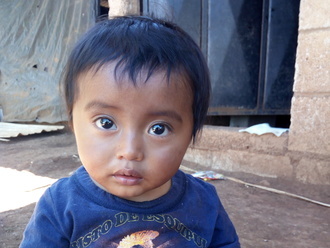 In the short term, malnutrition means Edwin has little energy to grow and that his immune system is weak. If Edwin does not receive treatment, he will also face malnutrition’s long-term consequences, such as increased risk of chronic diseases, low IQ, and higher likelihood of dropping out of school. While malnutrition can have devastating effects, it is also very treatable. Growth monitoring, micronutrients, and food supplementation will help Edwin recover. On February 16, he will begin treatment with our medical partner, Wuqu' Kawoq. During the program, community health workers will teach his mother about creating a nutrient-rich diet with limited resources. Wuqu' Kawoq is requesting $437 to fund his treatment. During treatment, Edwin will gain weight and grow taller to catch up with other children his age, and his immune system will grow stronger with the increased caloric intake. "We are thankful to God for the great blessing we have been given," says his father. 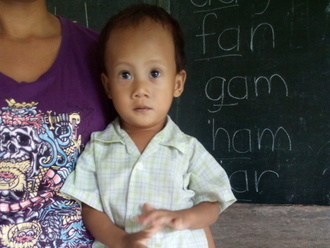 Jomrel is a 15-month-old boy from the Philippines. He lives with his parents in a bamboo house and loves to play with other kids in the neighborhood. Jomrel has been diagnosed with acute malnutrition. He has thin arms and legs and is smaller than other children his age. "I hope he will achieve a healthy weight," says his mother, who is very concerned for her son's wellbeing. 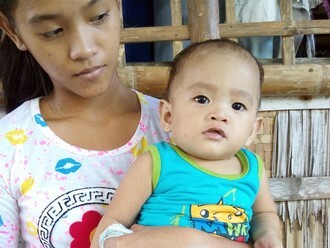 Our medical partner, International Care Ministries, is requesting $268 to cover the cost of an in-home feeding program to treat Jomrel's malnutrition. This will pay for nutrient-enriched food packs, weekly visits from medical staff, and health education for family members. Jomrel is scheduled to begin treatment on February 21. After treatment, he will return to playing with his neighbors. Touch is a 70-year-old woman from Cambodia. She has four sons, two daughters, and 15 grandchildren. She likes to listen to monks pray at the pagoda and read books. About a year ago, Touch developed a cataract in each eye, causing her blurred vision, burning, and tearing. She finds it difficult to see clearly, so she is not able to go anywhere by herself or do any work. She is also worried about going blind. When Touch learned about our medical partner, Children's Surgical Centre, she travelled two hours with her daughter for treatment. She has been scheduled for surgery on January 17. Our medical partner is requesting $292 to fund the surgery. A successful surgery will enable Touch to see clearly. Touch says, "I hope to see everything more clearly than now so that I can read any book and do housework or clean around my home." Saorith is ten years old and in the third grade. He has three older sisters and two older brothers. He likes to draw pictures and read books in his free time. When Saorith was four years old, he developed an ear infection that spread to both ears and caused a perforation of the tympanic membrane in both ears. He was treated with ear drops, but his symptoms did not improve. Since then, he experienced ear discharge, hearing loss, pain, and buzzing in his ears. He had difficulty hearing at school, and he was in pain. Saorith's parents learned about our medical partner, Children's Surgical Centre (CSC), from an NGO in Phnom Penh that specializes in hearing disabilities. The family traveled for six hours to seek treatment. On December 13, ENT surgeons at CSC performed a mastoidectomy procedure in Saorith's right ear to relieve him of his symptoms. After recovery, Saorith's hearing will improve. Now, CSC is requesting $842 in funding. 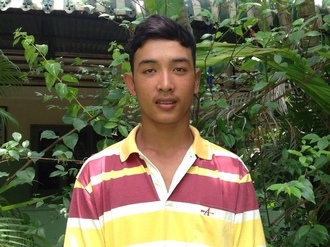 "I hope the operation stops the ear discharge and gives me good hearing," says Saorith. "I want to be a doctor." Narith is a 43-year-old potato farmer who is married and has one son and one daughter. She likes to chat with her neighbors in her free time. Three years ago, Narith developed a cataract in each eye, causing her blurred vision and extreme sensitivity to light. She has difficulty seeing things clearly and working. When Narith learned about our medical partner, Children's Surgical Centre, she traveled for three hours seeking treatment. On December 20, doctors performed a phacoemulsification cataract surgery and an intraocular lens implant in each eye. After recovery, Narith will be able to see clearly again. Now, she needs help to fund this $292 procedure. "I hope that I can see everything more clearly," says Narith, "so that I can feed my cows and chickens. I can also earn money to support my family and go anywhere by myself." 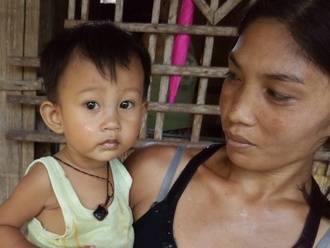 Eight-month-old Ranz lives with his parents in a bamboo hut. They source water from a deep well. Ranz's father works on a service crew. Ranz weighs much less than other children his age. Ranz has been diagnosed with severe acute malnutrition. He began $268 malnutrition treatment on October 21. He is being treated by International Care Ministries (ICM), a Watsi medical partner. One out of five children under five in ICM communities is either severely or moderately acutely malnourished. Worldwide, poor nutrition is associated with nearly half of all deaths in young children. In remote communities and urban slums of the Philippines, the lack of clean water and unclean environments add risk to potentially fatal childhood diseases. ICM’s Home-Based Feeding program provides nutrient-enriched food packs to ensure malnourished children get additional food to regain normal weight and achieve optimum physical and mental development. After identifying a child as malnourished, staff and community volunteers make weekly visits to monitor this child’s progress. To help sustain the health of the child, ICM's professional staff educate the mother, guardian, or other family members about proper nutrition, sanitation, hygiene, and organic vegetable gardening. "I hope my son will gain weight and become healthy," says Ranz's mother. Janak is a five-year-old boy in first grade from Nepal. He lives with his parents and siblings. His father works in the factory and his mother works on a farm to make their living. The yield from the field keeps them going for about six months of the year. Janak fell and fractured hi right hand while playing with friends. Janak has been hurting since he fell, and his hand has swollen considerably. Janak needs help with his everyday work like eating and getting dressed. He was taken to the health post near his village but was referred to Bayalpata hospital for treatment. For $195, Janak will receive the fracture treatment he needs to use his hand again. Janak's father says, "I would really thankful to the doctors if Janak's treatment happens soon." Cristhofer is the first child in his family—he lives with his parents in a one room adobe house with a tin roof in Guatemala. He absolutely loves to play with his ball, which always makes him smile. His mother works at home: cooking, cleaning, and taking care of the children as well as being a janitor at a school. His father is a day laborer in the fields, making only a couple dollars per day when there’s work—but he’s often left without any income. Although his parents work hard, they do not have the resources to feed him even one vegetable, piece of fruit, or egg per day—the minimum that he needs to reach a healthy height and weight. Cristhofer is suffering from malnutrition, meaning that he is much too small for an 18-month-old baby. Not only has his physical grown been stunted, but his poor diet has left his body unable to fight off common sicknesses such as diarrhea, coughs, and cold. He gets sick a lot more often than a healthy child, further impeding his growth and development. Until meeting with our nurse, his mother did not realize that Cristhofer was underweight and not growing well. She was also unaware of the consequences malnutrition can cause in the long run. If Cristhofer does not receive treatment, he could face the consequences for the rest of his life—such as short stature as an adult, lower IQ, a harder time focusing, and trouble in school--all making it more likely that he will have lower-paying job as an adult and have children who are also malnourished. $512 in funding will allow Watsi's medical partner, Wuqu' Kawoq, to provide Cristhofer with growth monitoring, food supplements, and deworming medication. These measures will help him grow, develop healthily both mentally and physically, and overcome malnutrition. His parents will receive motivational nutrition education so they can learn how to best feed Cristhofer, even with the little resources they have. If he receives treatment now, he will have normal mental and physical development, giving him a better chance to be a successful student and to one day be qualified for a well-paying job. His mother shares with us, "We want to do our part so our son can grow. When he's older, he can get a university degree." This treatment will give Cristhofer a better chance of escaping the cycle of malnutrition and poverty.